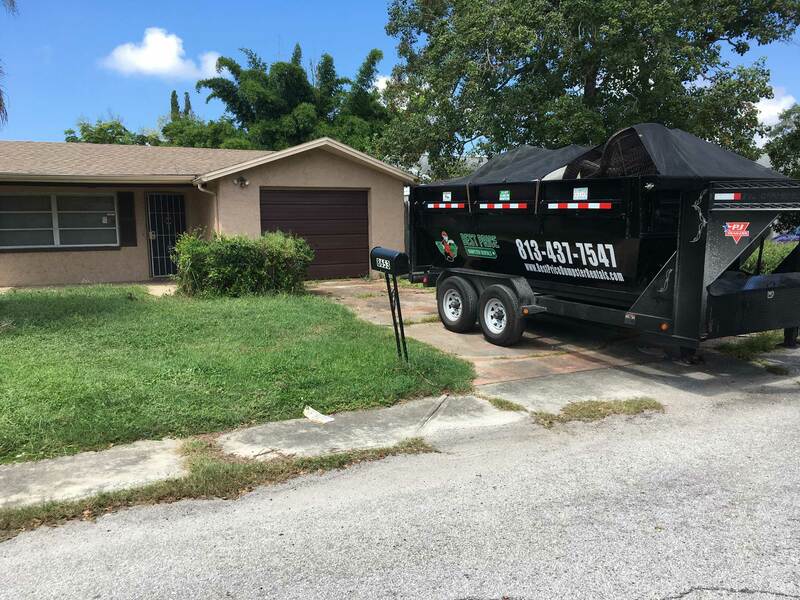 Dumpster Rental Tampa Service Today. Dumpster rentals usually go through a series of brokers that all charge an added fee for their services. Ultimately, the end consumer (you) end up paying a lot for a single rental than you normally would have to. Enter Best Price Dumpster Rental. We maintain affordable pricing without compromising the quality of our services. Instead of going through a chain of brokers, we work directly with the consumer, you! At Best Price Dumpster Rentals, we make sure that you get the best dumpster for your needs. Whether you need to dispose of common waste material, construction junk, or recyclable waste – we have you covered. Choose Our Roll Off Dumpster Rental Tampa Service Over the Rest! Professional Outlook: We believe in bringing the utmost professionalism to all of our clients. Waste management and disposal is essential and we treat it with utmost seriousness. Our award-winning customer care service will walk you through every step of the way and help you resolve all issues. 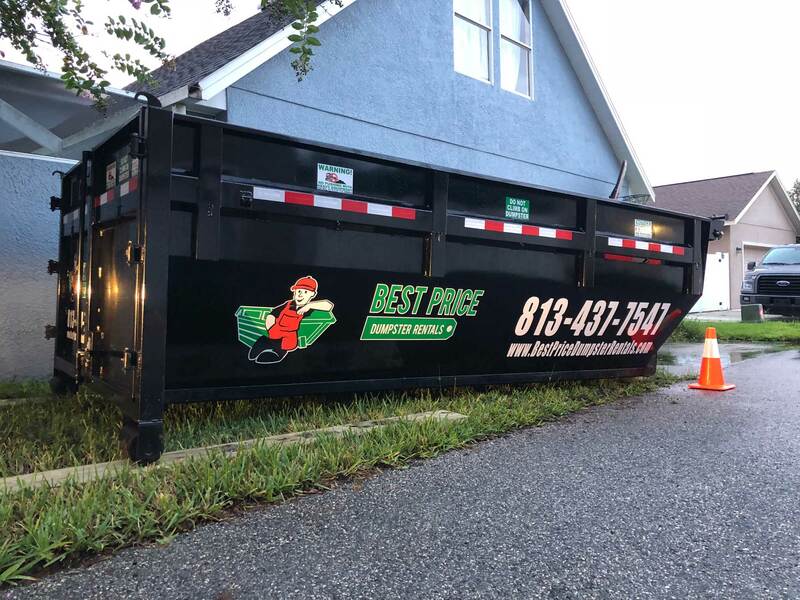 Lightning-fast Delivery: We pride ourselves in being able to provide the fastest roll off dumpster rental Tampa service in the Tampa Bay area. Not being able to clear off junk and debris on time can cause major issues with the project, not to mention health hazards for the workers. Wide Coverage: We service the entire Tampa Bay area and surrounding cities. Our wide coverage extends to more than just a long list of services. If you are not quite sure if our service is available in your area or not, just give us a call! Ask About A Complimentary Quote For Roll Off Dumpster Service! At Best Price Dumpster Rentals, we understand that waste management is a definite need and not a luxury. More often than not, you have no clue which dumpster you need to choose. Never fear, we provide you with a free consultation on every rental. This way, you get free advice and a free quote before you invest a dime in us. 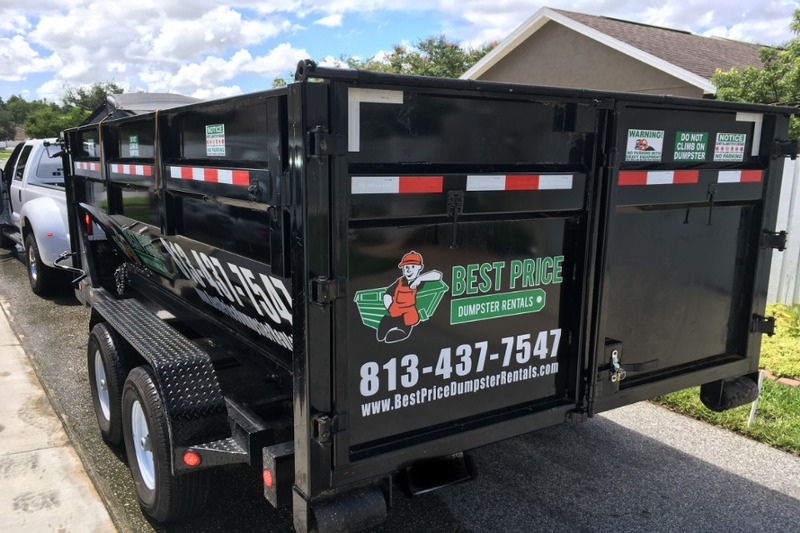 FAQs About Roll Off Dumpster Rental Tampa! We are widely regarded as the best in the dumpster rental service industry and for good reason. Sometimes your choices will be dictated by the tonnage of your waste removal requirements. 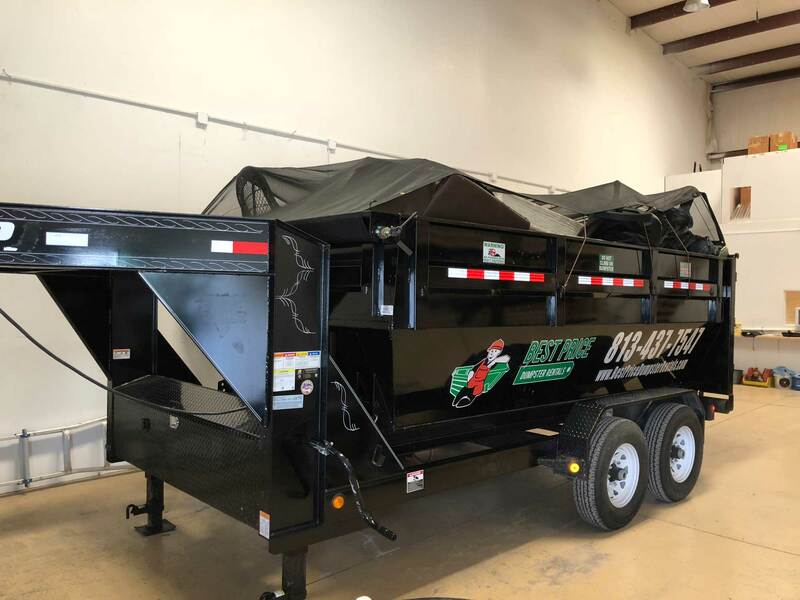 In other cases, it is a simple matter of what fits into the driveway.With our superb choice of waste management services, you can get a solution for every need.